Brownie Jar for one please! The brownie jar is the perfect dessert for one or two if my husband wants a little snack too, because well I’ll be honest brownies are just too good for me to share ;). 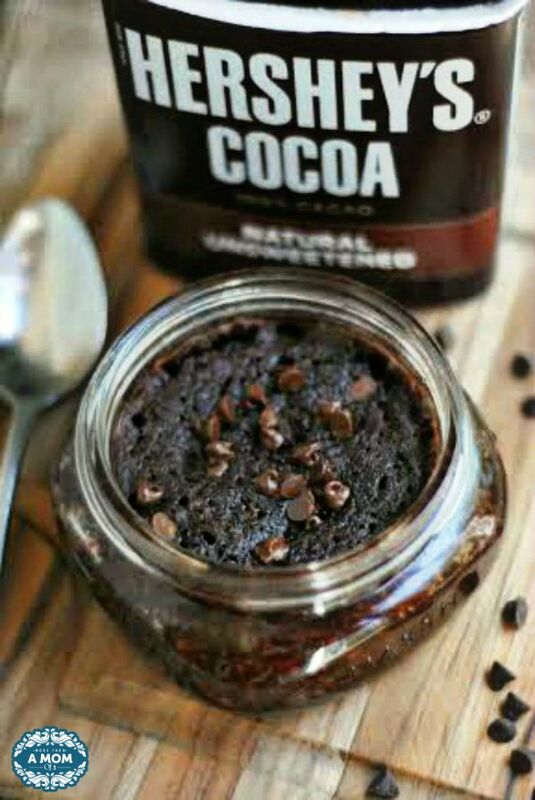 A Brownie Jar is just as delicious as a traditional gooey chocolate brownie but can be made in under 2 minutes. No waiting! I like how cute they look too. 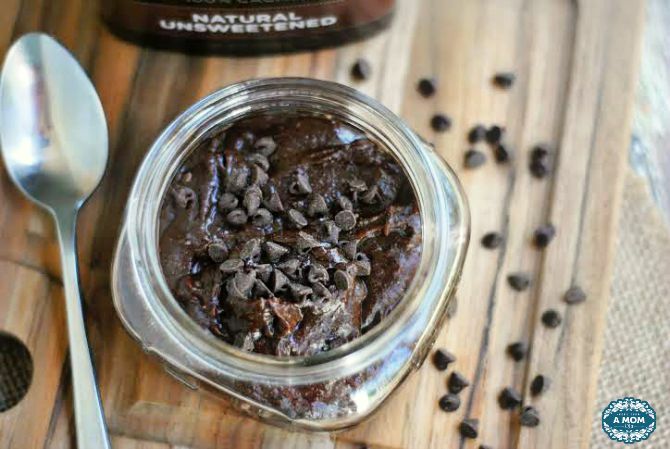 Anything single serve like the brownie jar dessert is always a hit at a get together or birthday party especially with little kids. 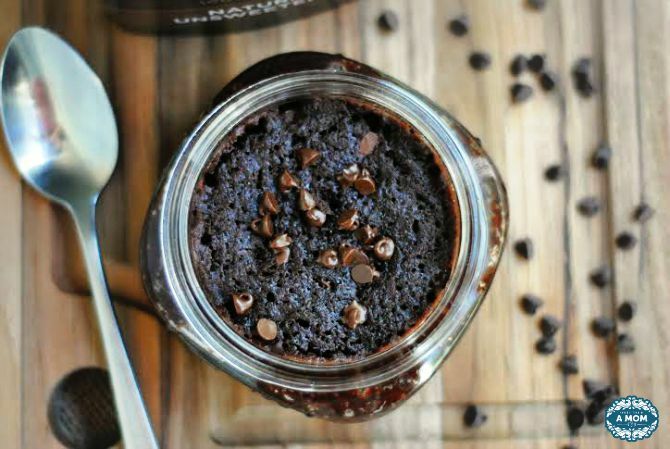 They can each have their own little brownie jar dessert to enjoy and they can add their own toppings with a side topping bar option. 1. 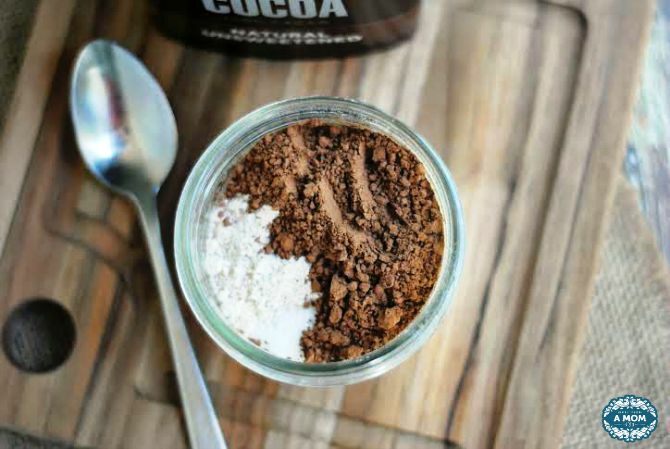 Combine the dry ingredients in a 8 oz jar. 2. Add in the coconut oil and water, mixing well. Then add in the mini chocolate chips. 3. Heat in the microwave for 90 seconds. Check to see if it is cooked through. If not, heat another 20 seconds. 4. Optional to top with a dollop of whipped cream or chopped walnuts. 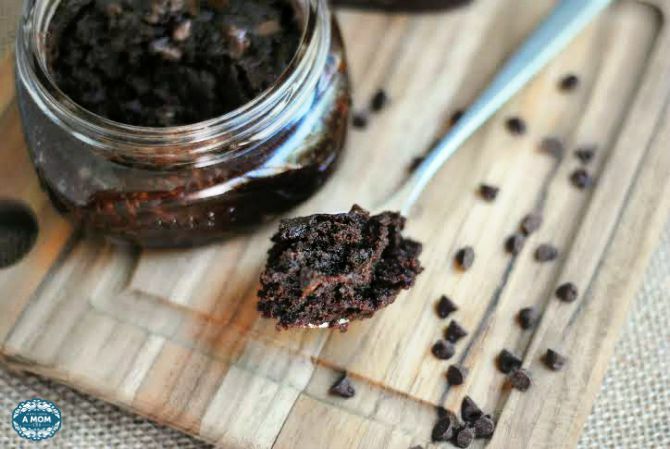 Note – The jar will be HOT so wait a few minutes to dig in and enjoy this chocolate brownie snack. 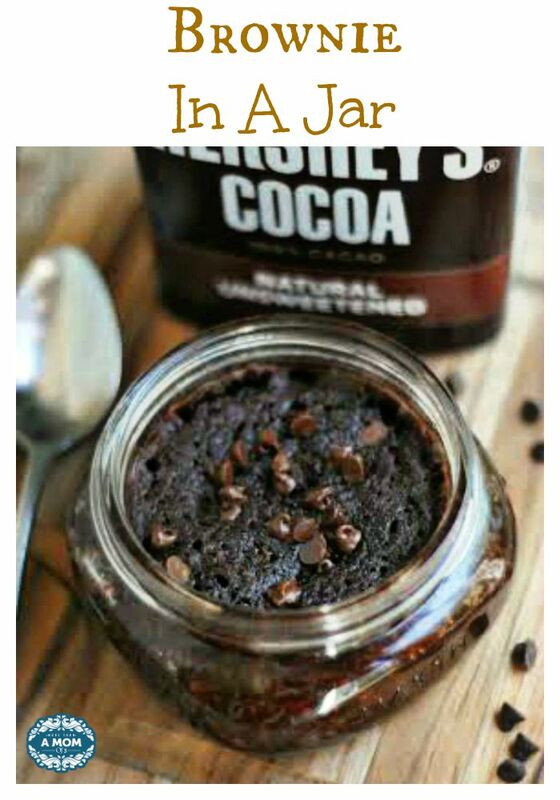 Have you ever had a brownie jar before? What is your late night go to snack? oh my! This sounds and looks amazing. I will need to try and make this. That looks so good and I even has those jars. I will be making this today! Wow, you can’t get much easier or more delicious than that! I think I’d be making those every 90 seconds! This is so much fun! My daughters would love it! No I have never had a Brownie Jar but they sure sound good and great for me since I live alone and I certainly don’t need to make a while pan of brownies and then eat them all up!! I SO need to try this soon. I love me a good chocolate fix, but don’t always want an entire pan of brownies sitting around the house calling my name. Now I’ll be thinking about this all day long and I might just have to make it for dessert tonight. IT looks incredibly easy and so darn good! These are fun gifts for the holidays too. My DIL sent me something similar for Christmas and I loved it. I’ve never tried this yummy recipe, looks tempting and tasty. I’m gonna try it out. I love individual sized desserts like this. They’re perfect for a quick sweet treat! Wow that sure does look good! I just love individual desserts like this. I can’t believe how easy these look to make! This looks super tasty! I absolutely love brownies so being able to make a single-serving is just perfect (and a surefire way to put on en extra 10 pounds lol). Thanks for sharing your recipe with us at Merry Monday this week! My kids would love this! Love that you linked up with the Delicious Dishes Recipe party this week! Oh wow ! I’ve heard about these and always wanted to try! I’m excited !! Chocolate makes me happy! !